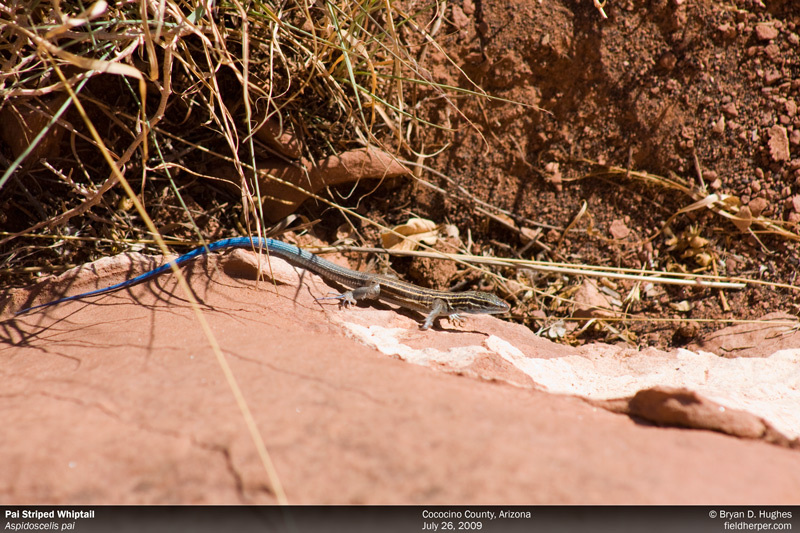 Here are a few lizards Kelly and I saw while searching for Hopi Rattlesnakes just above the rim in Cental Arizona. 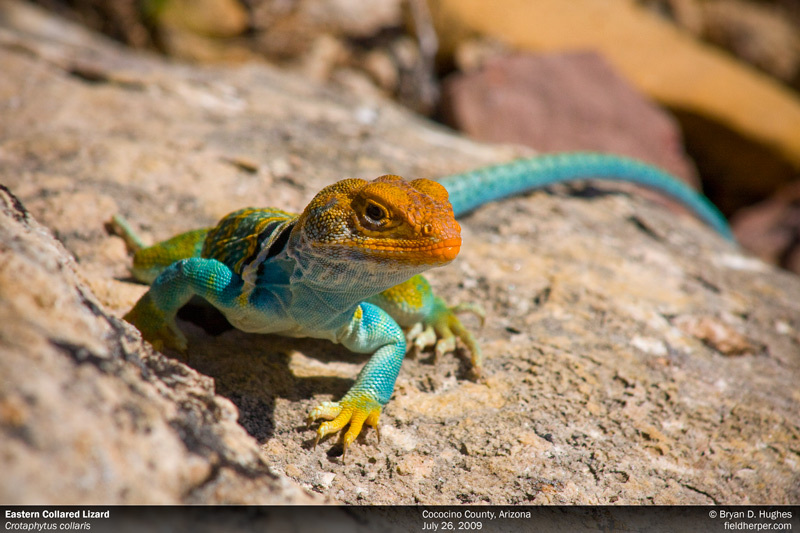 This first is an extremely colorful male Eastern Collared Lizard, Crotaphytus collaris. 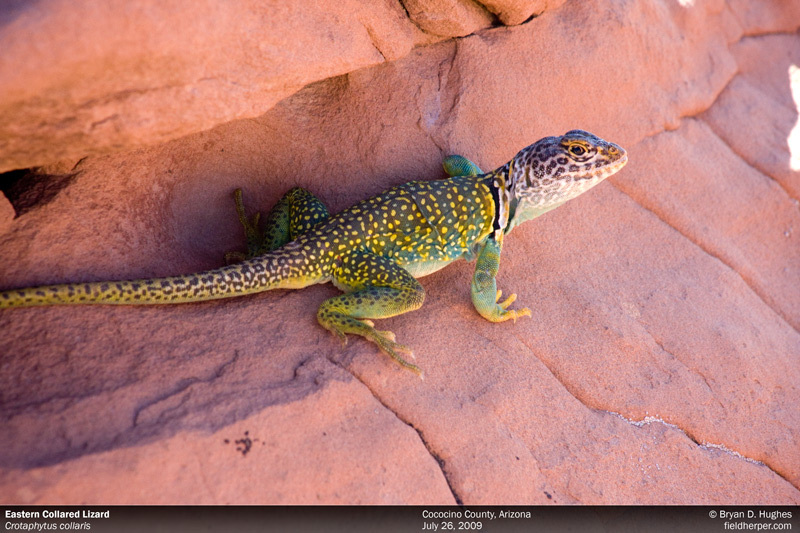 This was easily the most colorful collared lizard I have seen in my limited experience with them. 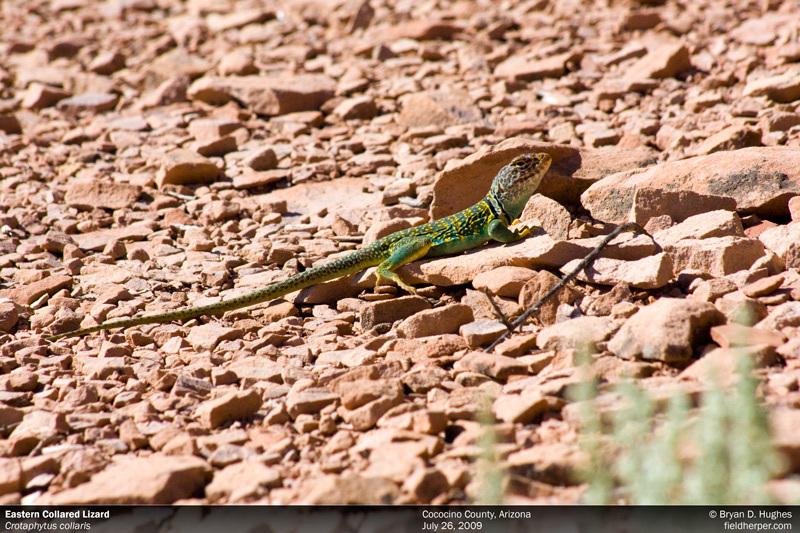 Another we saw crawling around here and there are these colorful Pai Striped Whiptails, Aspidoscelis pai. Although very common and easy to see, I really haven’t done much exploring this far North in the state. We saw a few and they did the typical whiptail thing of teasing and dodging between the shrubs before I finally got a halfway decent shot. I’ll be back up there sometime soon to get something proper. 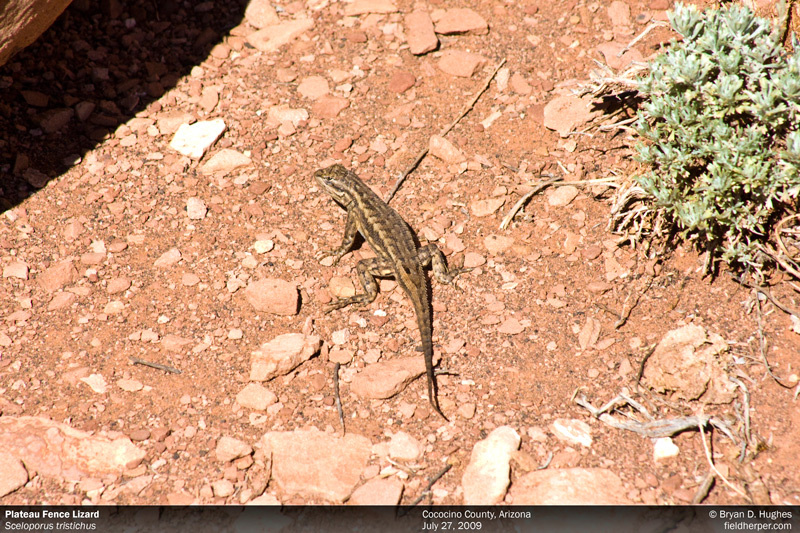 Here’s a common lizard I see all the time in the Bradshaw mountains further to the South, a Plateau Fence Lizard, Sceloporus tristichus. 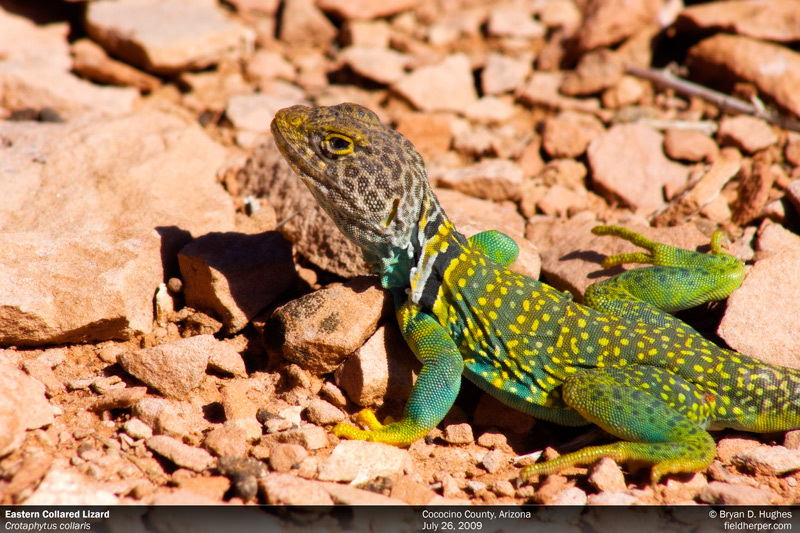 The last lizard we found of note was an even more colorful adult male Eastern Collared Lizard. He stood still for us and we were able to get within 7 or 8 feet before it darted between the rocks and we retreated to the truck to avoid an incoming storm. 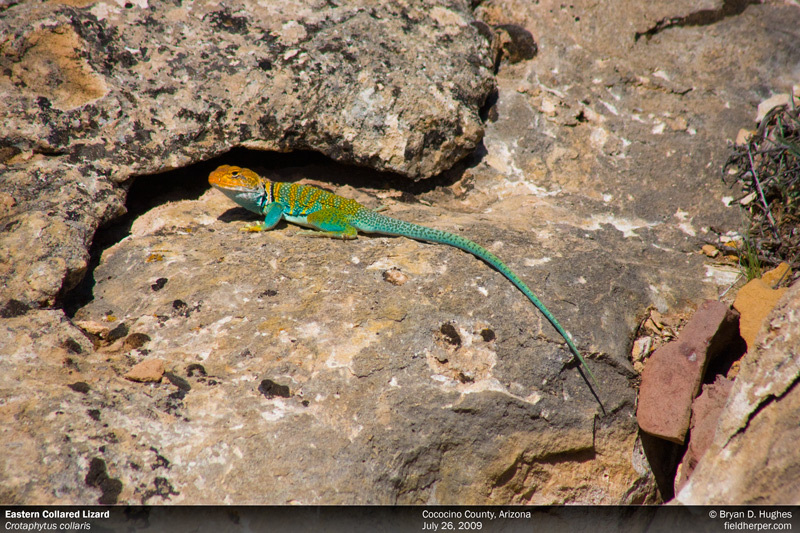 This entry was posted on Tuesday, November 11th, 2014 at 8:04 am	and is filed under Field Herping, Field Trips. You can follow any responses to this entry through the RSS 2.0 feed. You can leave a response, or trackback from your own site.